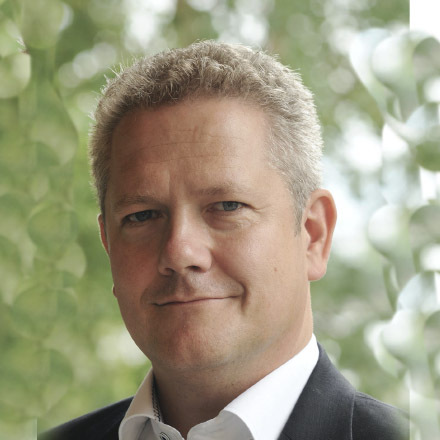 Fine Gael support founded in strengths outside of Dublin. The latest RED C Sunday Business Post poll sees Fine Gael make considerable gains, while Labour and Fianna Fail fall back. These trends are underpinned by very different voter behaviour in different constituencies. Regional poll vs. poll analysis is not reliable as the sample size is too small, however with a large number of polls conducted in the past few weeks we are able to look at the regional vote share on the basis of the last four RED C polls, conducted in the past three weeks. So how does the performance of the different parties differ from one part of the country to another? 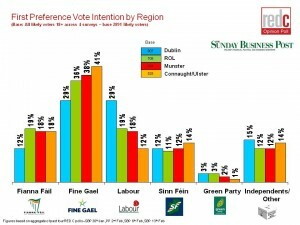 Dublin sees a very different picture to the Rest of Ireland, mainly due to the strong support shown for the Labour Party. Across the last four RED C polls conducted in the past 3 weeks, Labour has secured an average share of the first preference vote in Dublin of 29%, significantly ahead of its share outside of Dublin. This is Labour’s heartland, and where by contrast Fine Gael takes its lowest share of the vote. Fine Gael still secures 29%, the same as Labour, but this is some way behind its strongest share in Connaught and Ulster. Dublin is also the weakest area for Fianna Fail, where on average over the past four polls the party secures just 12% share. Perhaps surprisingly Sinn Fein doesn’t do any better in Dublin than elsewhere, but Greens and Independents/Other parties do somewhat better in Dublin than in other parts of the country. Despite the impact many felt the Micheal Martin might have had on the Fianna Fail vote in Cork, the party does not fare particularly better here than in other parts of the country. In fact the parties share here is 8%, which 1% less than in Leinster. However there are signs in the trend over the past few polls that Martin has improved the share for the party here recently. In contrast, Fine Gael do better again in Munster, securing 38% of the first preference vote some way ahead of the other parties. Labour secure just 18% here, with Sinn Fein and Independent candidates on 12%. 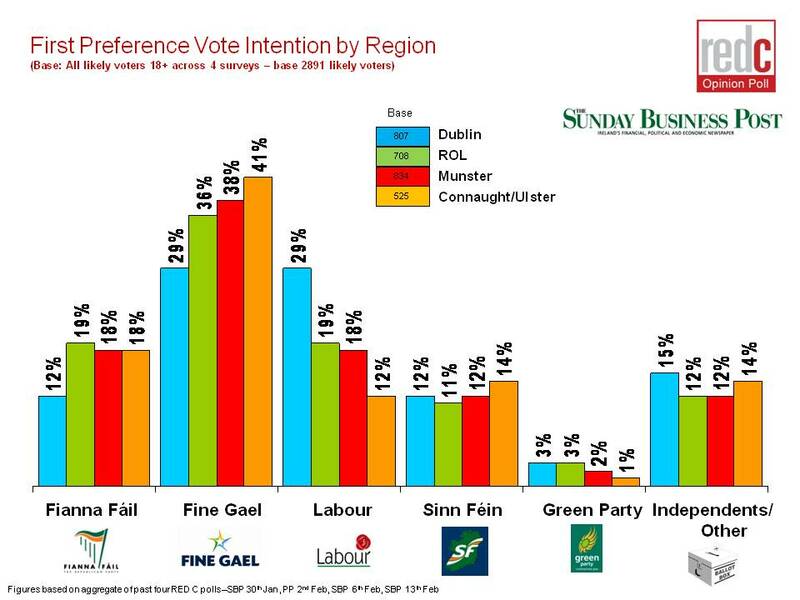 The Green party vote also declines in Munster to just 2%. This is where Fine Gael completely dominates, with 41% share of the vote. The party also sees significant gains in the last poll here, which is also underpinning their success nationally. The other party that does well here in relative terms is Sinn Fein who secure 14% first preference. However, Sinn Fein’s downward trend nationally, appears to be focused in Connaught/Ulster where previous highs are being eroded during the campaign. Labour in contrast does relatively poorly in this region of the country, securing just 12% of the vote, some 17% behind their share in Dublin. The Greens also do poorly here, securing just 1% first preference share across the past four polls. Fianna Fail retain the same share as seen in Leinster and Munster, with 18% of the first preference vote. Finally, Independent and other parties also do better in Connaught/Ulster taking 14% share.